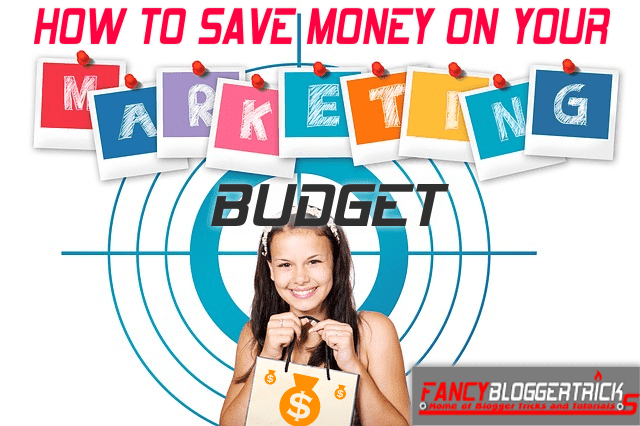 Here are the few vital ways to Save Money on Your Marketing Budget without running at loss. A company’s marketing budget is formed by a number of factors, the biggest being the amount the company or small business is able to spend. This can have a major effect on the outcome of a campaign, but in order to get the most out of a campaign of any size the advertising, market research and campaign development should be implemented as efficiently as possible. Always try to reduce loss and improve your returns. The leading focus on a campaign is typically the advertising and creation of promotional products and discounts, but most businesses forget that these are only temporary activities and will fade out once the campaign is over. Making the most of the campaign is ensuring your business is ready for the influx of new traffic and customer retention. You’ll need to prepare different business aspects for the campaign, and these will depend on the where the advertising and marketing is taking place, and where the consumer is directed to. For example: If you’re holding a marketing event at a trade show you should think of aspects like the transport your potential customers will take and how to make that easier for them to improve the number of consumers who will arrive. Hiring assistants and your current employees to deal with the new customers is also recommended. Although the business world has dove into digital and made it the new standard, there are countless savings that can be made by occasionally utilising the reach of traditional marketing. This can be cold calling, or setting up a hotline for consumers to ask you questions about your business. Companies like eVoice have developed a service that allows analytical data to be collected during campaigns, and even offers customers toll free calling options. Print marketing and ad placements in newspapers and magazines is also becoming far less costly and can act as an affordable marketing option for businesses who need to save during their campaigns, but also need great returns. Creating campaigns for current trends are a great way to spread brand awareness as the public will be actively sharing and interacting with anything related to that topic. Events like the Olympics, football finals and the Australian Open are all great ways to spread brand awareness by creating tailored ads to suit the time of year. Adapting to these current trends can be expensive though, and there is far more competition online for ad placements during these times, and therefore ad spots cost a lot more. To get the most of these ads, create them way in advance and budget for them earlier in the year so you’re prepared for the more expensive costs to run them. Just by being financially prepared you can save a lot of money. It isn’t always the best option to stick only with what you know and never change, but when you’re trying to save money in marketing, you should. If you’re new to television marketing or you haven’t developed ads for YouTube before, and don’t have the backend ready to gather analytic data, then it’s best not to rush in for the sake of it. Run your planned campaign on a platform you know, and during that time take a short course or a crash course on the channels you want to market on for the future — during the time your campaign is running. That way you’re not cancelling a camping to study, but you’re also not wasting marketing dollars on a platform you’re not prepared for.